A hot bath is able to relax tense muscles. Adding ginger to your bath will enhance this quality. Everything from neck and back pain, to menstrual cramps and joint stiffness has responded to ginger baths. Research at the University of Sydney has found it may also reduce pain and inflammation with the help of compounds called gingerols — which have a similar structure to capsaicin, a known pain reliever. Tension and stress will constrict your circulatory system, especially the lymphatic system (which does not have a pump like your blood does). Ginger bath provides the dual benefit of stimulating your lymphatic flow while causing your body to let go of the tension and constriction of the circulatory system. 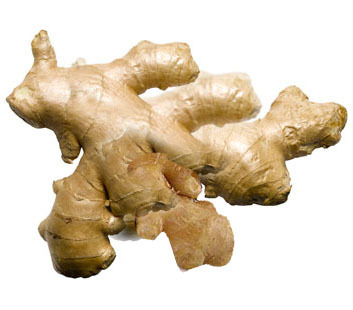 Ginger has powerful antimicrobial properties. It has been used for skin conditions and because it will promote sweating (after about 20 minutes in a ginger bath), is effective to detoxify the lymph’s. A good, hot ginger bath can induce sweating and simulate a fever (burning up those nasty viruses and bacteria). It will also excite your immune function as it stimulates the lymphatic system (a major site of immune function). Ginger baths have been reported to reduce healing time in colds, flues, and other ailments. It can also help bring down a high fever. Ginger powder is the easiest form to use in the ginger bath. 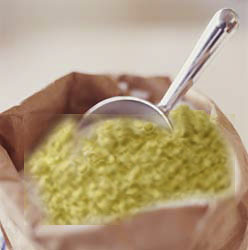 Start with a couple of teaspoons to a heaping tablespoon of ginger to a tub of tepid to hot water. Increase the amount of ginger, slowly, as desired. After years of use, I use 1/3 – 1/2 cup of ginger to help relax my tense body! This amount is not for the faint of heart!